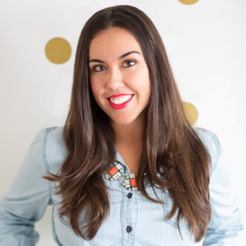 The holidays are my favorite time of year and one of the best times to throw a party! 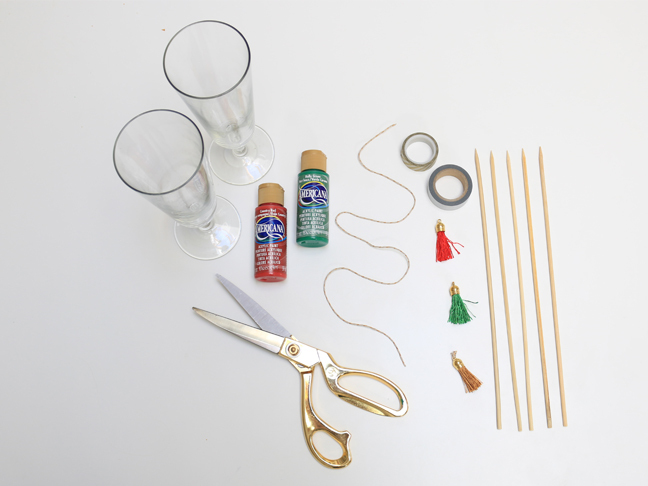 Whether it is a family get-together or a holiday party with your friends, these simple DIY holiday drink stirrers are the perfect addition to a winter cocktail. 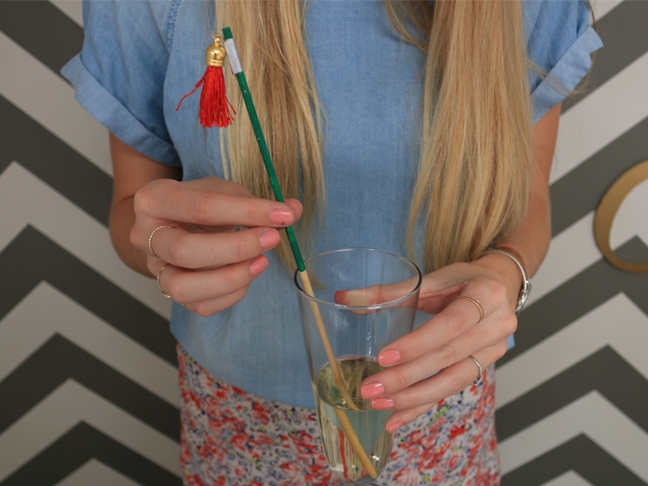 Adorn a wooden drink stirrer with red and green tassels and some washi tape, and your drink has the perfect accessory. Not only were these easy to make, but they were so inexpensive and I am so excited to use them at all of my holiday parties this season! Cheers! 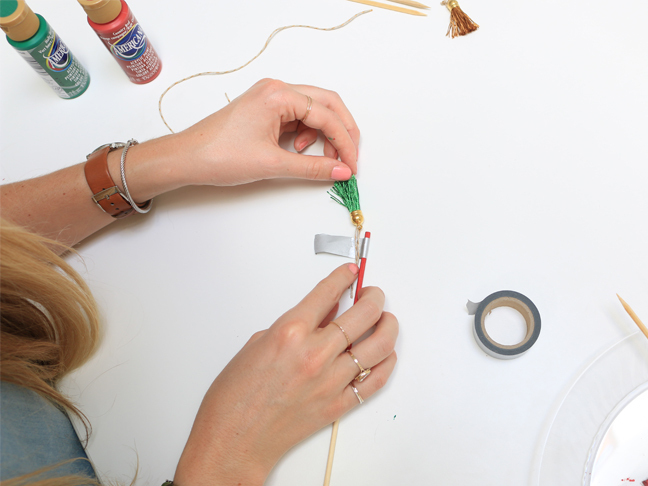 Step 1: Grab some paint and the wooden kabob sticks and begin painting! 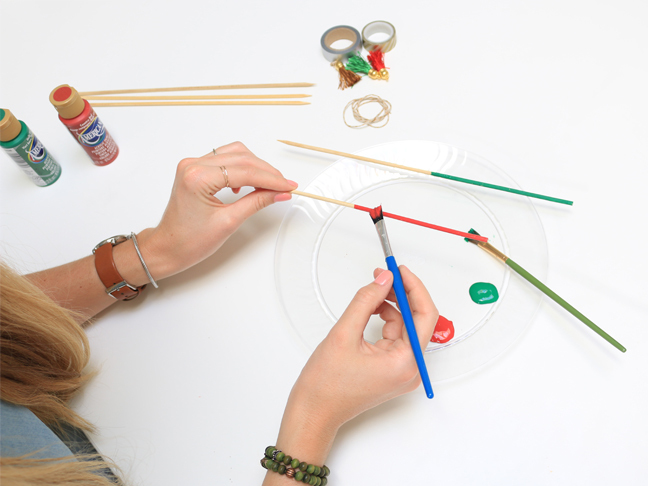 We went with red and green to be festive, but choose any color you like! 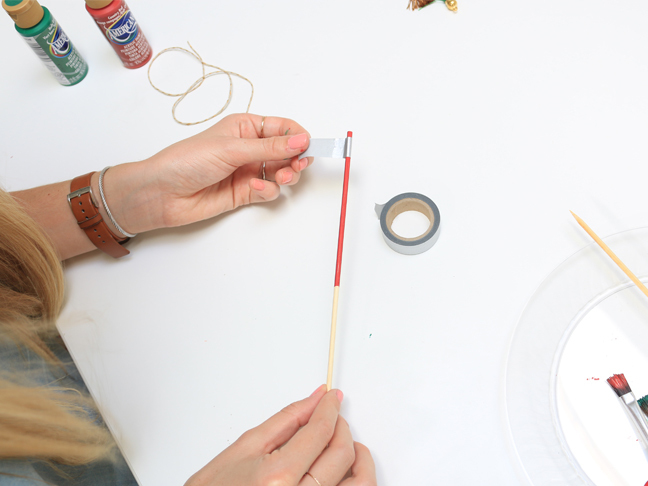 Step 2: Once the paint has dried, take the washi tape and start wrapping the stick, leaving a little room at the end! 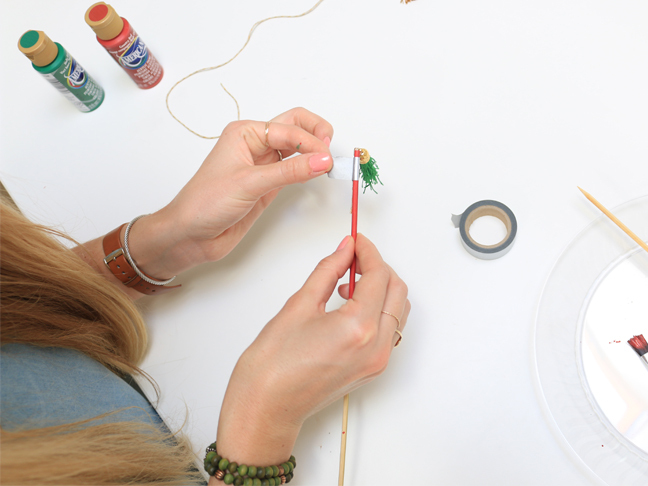 Step 3: Cut a little bit of string, and grab your colored tassel! 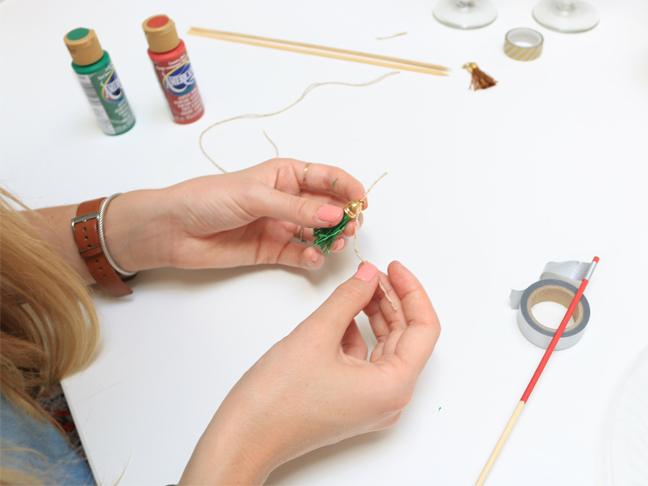 Put the string through the top of the tassel, and attach the ends of the string to the tape with the tassel at the top! 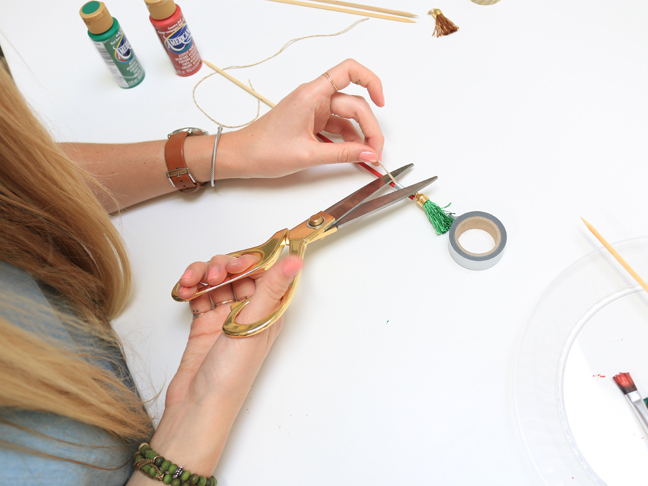 Step 4: Finish wrapping the washi tape around the strings, cut the string, and then you have a finished product! And there you have it! 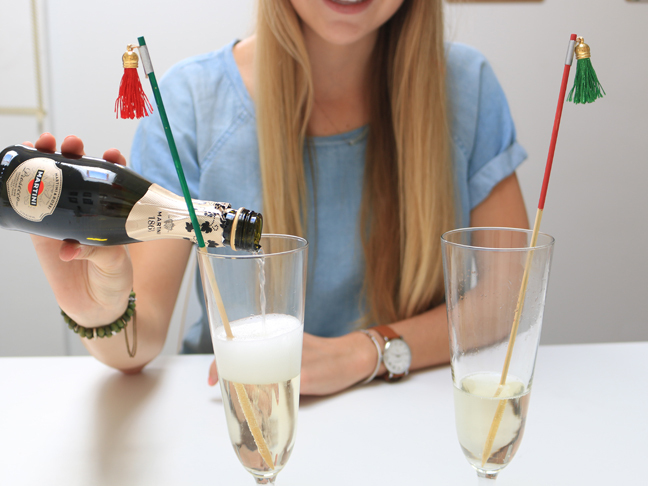 In four simple steps you have the perfect festive addition to your drink. Cheers to the holiday season!